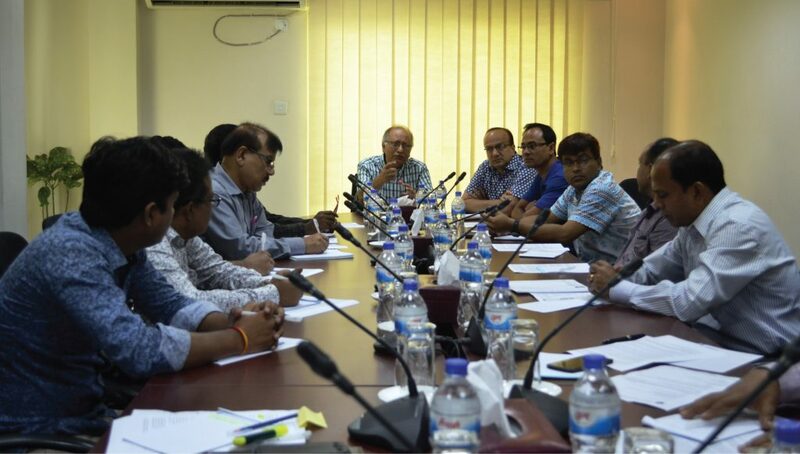 InM organised a meeting on 24 July 2016 at InM Training Centre with MFIs who had earlier expressed their interest in research collaboration under InM’s newly launched ‘Research on Operational Challenges of MFIs in Bangladesh (ROCM-B)’ programme. The representatives of the following MFIs were present: BASA, VERC, WAVE Foundation, UDDIPAN, ESDO, YPSA, IDF, SETU, TMSS, BASTOB, and SOJAG. Among others, the meeting finalised the research design and sample framework for data collection. The concept papers of the research and draft questionnaires were also reviewed and discussed for finalisation.